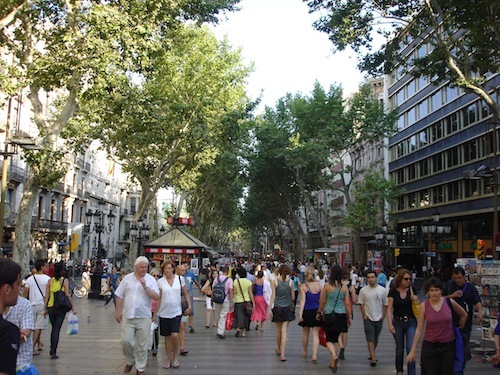 Spend some time on Las Ramblas Las Ramblas is a tree-lined pedestrian mall that is popular with both tourists and locals. It stretches for ~1 mile and both sides of the street are lined with shops, restaurants, tapas bars, and hotels. 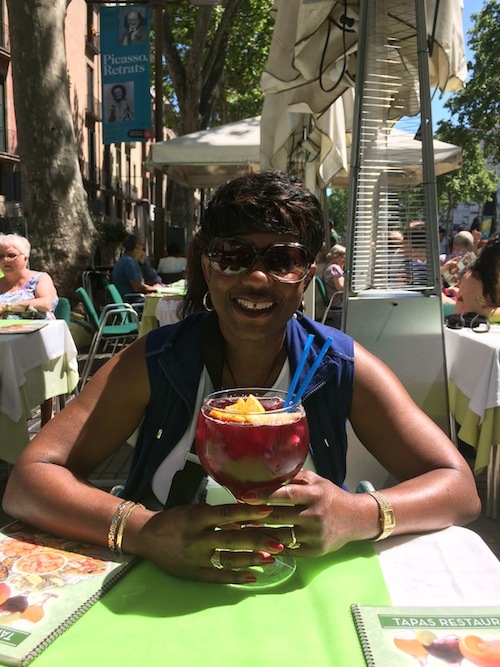 It is a perfect place to stroll, see and be seen – or just sip a little sangria. 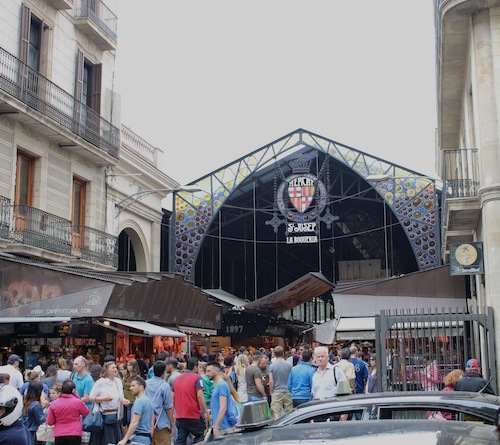 La Boqueria is one of Europe’s oldest markets. Since 1217 it has been used to sell meat, fish and many other goods. Although it is a major tourist attraction, it is also frequented by local residents. 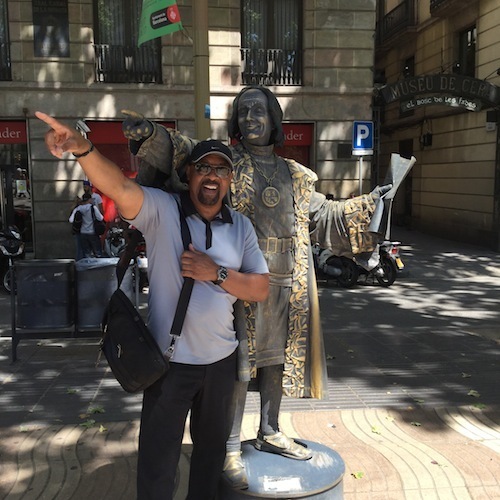 It’s easy to find since it’s located right on Las Ramblas. 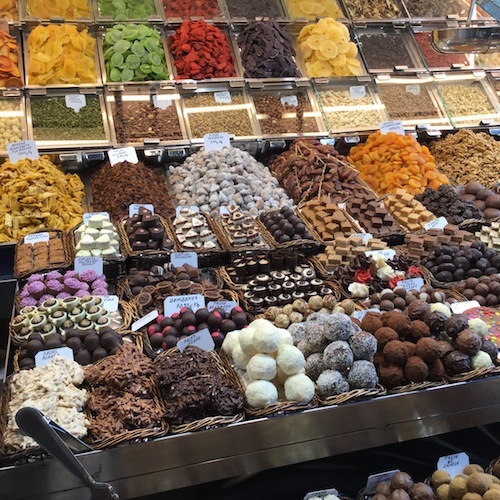 There are so many choices – fresh fish, fruit, vegetables, juices, baked goods, meat (including some of the best ham in the world)that it’s difficult to know where to begin. 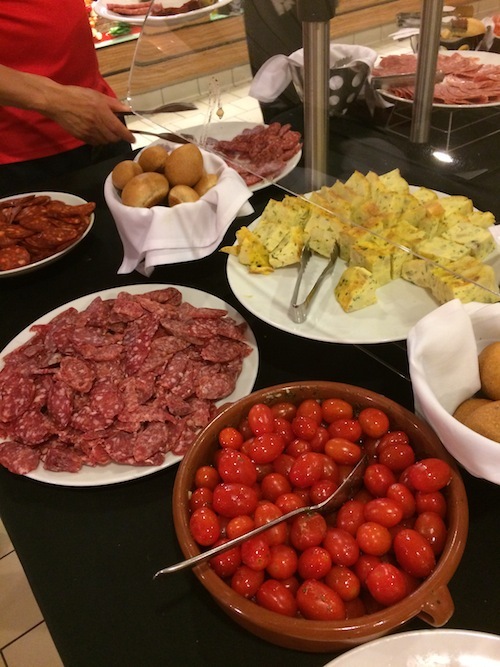 You can even purchase tapas to eat onsite at one of the many food counters. Everything is artfully displayed, so it is as visually stimulating as it is delicious. Prices are quite reasonable, so it’s a perfect place to eat on the cheap. 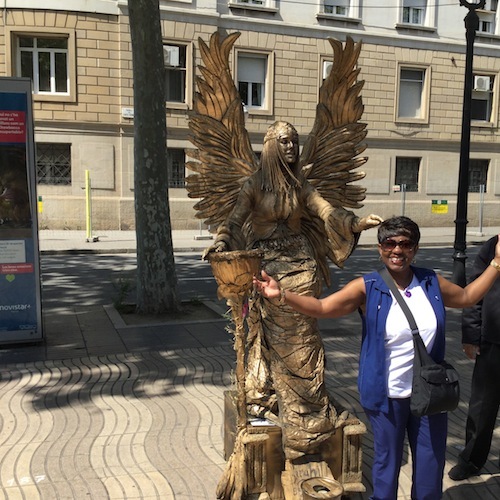 One of my favorite ways to explore a city is by hop-on-hop-off bus and Barcelona offers two companies to choose from; Bus Turistic and City Sightseeing. Both have 3 different lines, so they are the perfect (and affordable) way to tour the entire city. They run frequently, so you can get off and spend as much time as you like in any location. It’s easy to purchase tickets online ahead of time, or just get them on the bus. The Gothic Quarter is the center of the city of old Barcelona. 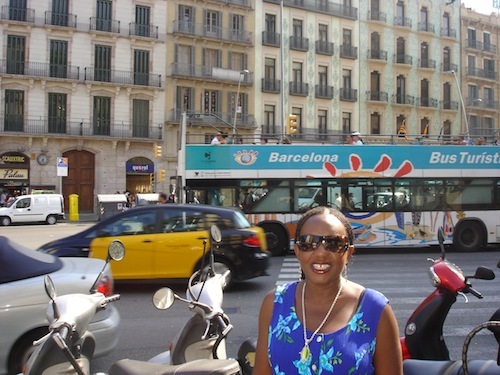 Located near Las Ramblas, it is one of the most fascinating areas of the city. It was built primarily in the late 19th and early 20th century, but some buildings date back to medieval times. 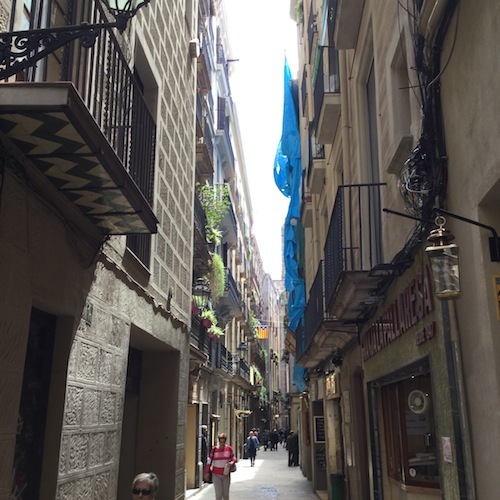 The area is filled with charming narrow streets and alleyways that open onto plazas. It’s a perfect place to wander around and enjoy the many shops, eateries and even churches. 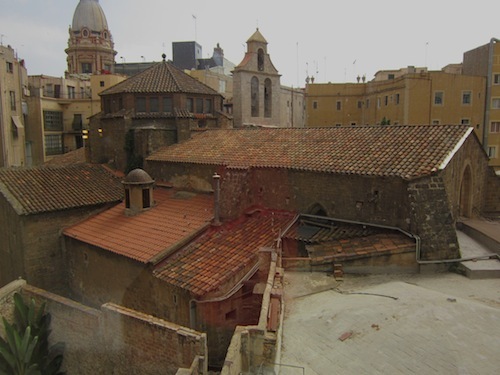 On a recent visit our hotel room looked out onto the Church of Santa Anna, a medieval church dating back to 1300. 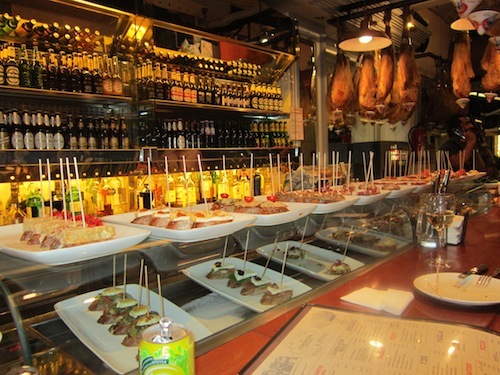 Barcelona is known for it’s delicious tapas and they can be found everywhere. But there are also other dining choices. I’ve had some scrumptious kebobs at several eateries all over the city. 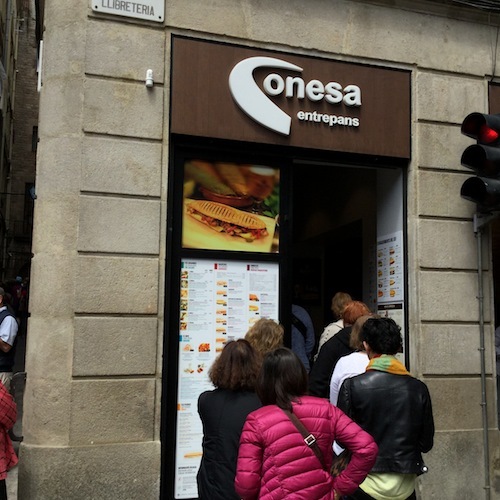 On my most recent visit I discovered Conesa, a sandwich shop in the Gothic Quarter. 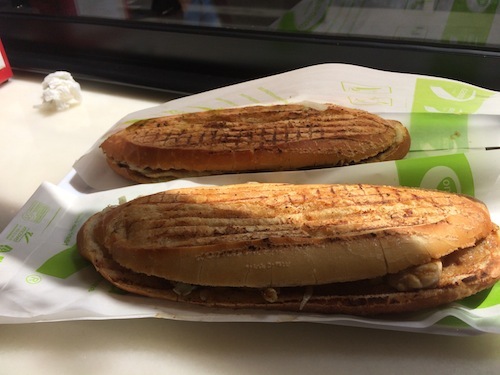 It’s a perfect place to enjoy a hot, tasty pannini. 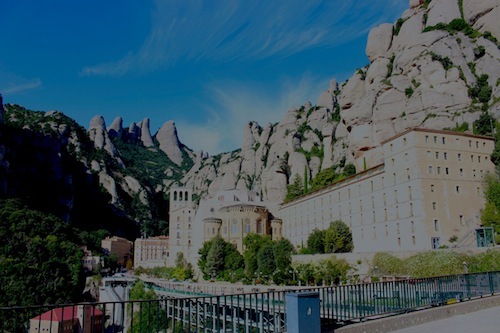 Montserrat is a multi-peaked rocky range located not far from the city, in Catalonia, Spain, so it is a good option for day trip. It is well known as the site of the Benedictine abbey, Santa Maria de Montserrat. Located high on a hill, it is impressive, and views of the valley are spectacular. Located less than an hour from Barcelona, this is another great option for a day trip – especially for wine lovers. It is one of Spain’s best wine-producing regions, particularly known for it’s Cava production. 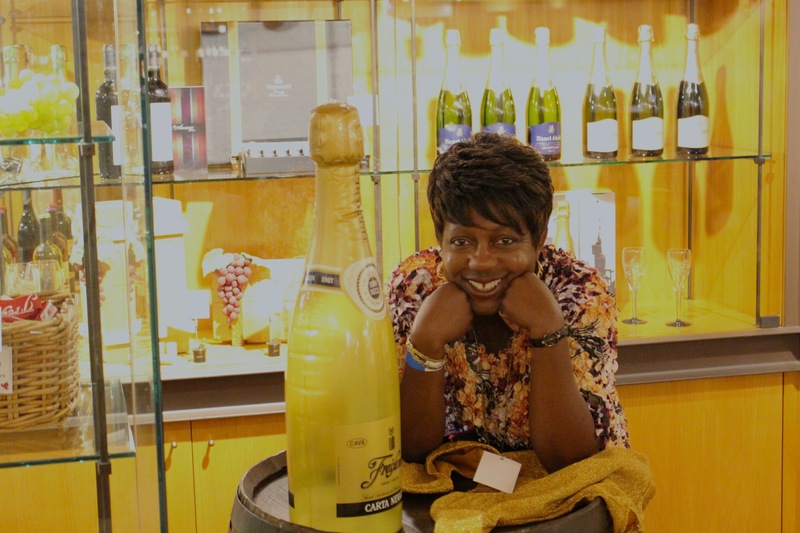 We spent a day touring the Jean Leon and Torres wineries and the Freixenet Cava caves. 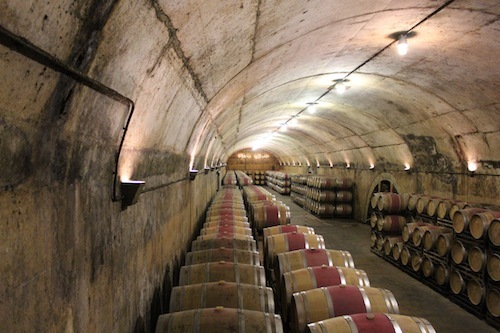 At each winery we were greeted by a knowledgeable guide and each tour ended with plentiful wine tasting and tapas. Tapas are snacks or appetizers that are enjoyed in the early evening. Since dinner is usually served between 9 and 11pm, Spaniards often go “bar hopping” in the hours between finishing work and having dinner. They can be served hot or cold and can include bread, meat, cheese, shellfish, olives, and other delicious fried delicacies. I must confess, that after visiting several tapas bars and enjoying a few sangrias, I’m usually too full to eat a large dinner. 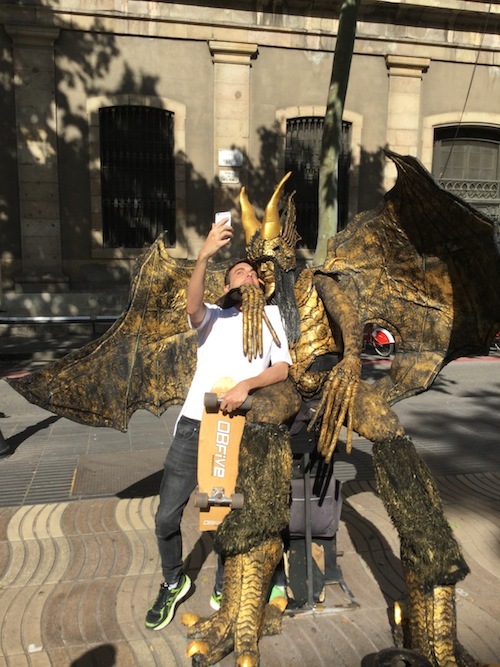 The street performers on Las Ramblas are some of the most imaginative that I have ever seen. Their costumes can range from cute, to kitschy to downright scary. If you want to take a picture of or with them you’re expected to leave a tip. Each one is unique and puts on a good show. 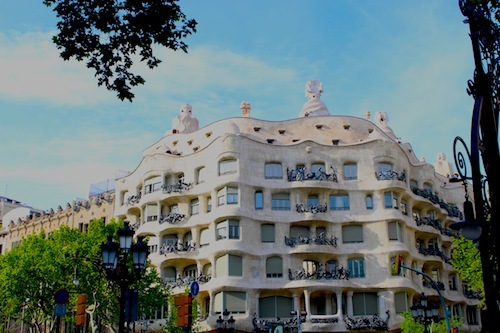 Barcelona is famous for it’s architecture, the city is full of beautiful and imaginative buildings. One of its most famous architects is Antoni Gaudi. 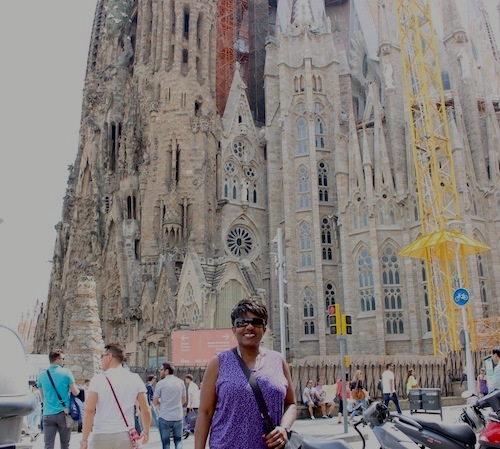 One of his most famous buildings is La Sagrada Familia, a large Roman Catholic church. Construction began in 1882 and is still ongoing; with a projected completion date of 2026. It has been called the most extraordinary personal interpretation of Gothic architecture since the Middle Ages. It is both ancient and futuristic. In a word, it is AMAZING. 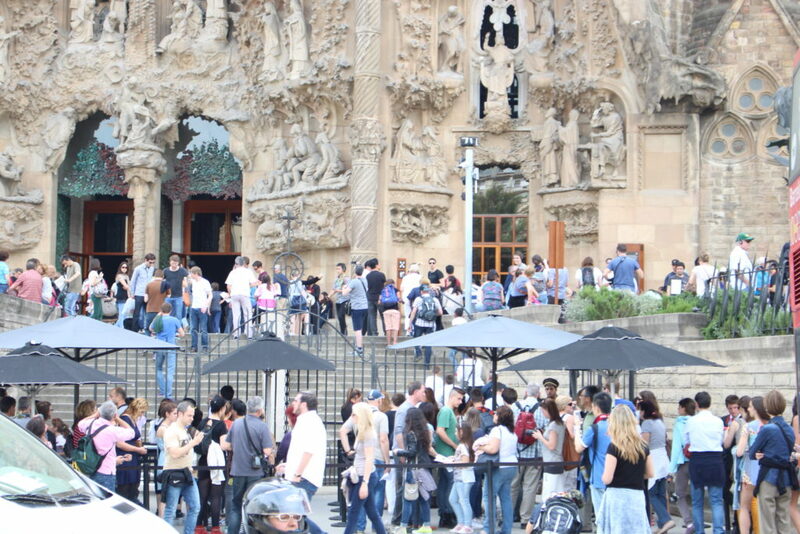 Since it is such a popular tourist destination, it is often crowded and lines can be very long. I definitely recommend purchasing a guided tour with skip-the-line access.